ETM (Education Through Music) is one of my favorite adaptive techniques. It is a technique established by the Richards Institute of Education and Research that, through song and play, “provides a gateway for :”contemporary understanding of learning, motivation, child theory and cognitive development. (Find out more about the Richards Institute and ETM here https://richardsinstitute.org). 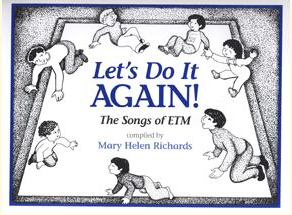 I adapt the song experience game learned in my ETM training to address cognitive, social, emotional, expressive, and physical goals for individuals and groups. Some of my favorite song games and adaptations for specific goals and objectives (music therapy and education) to come!